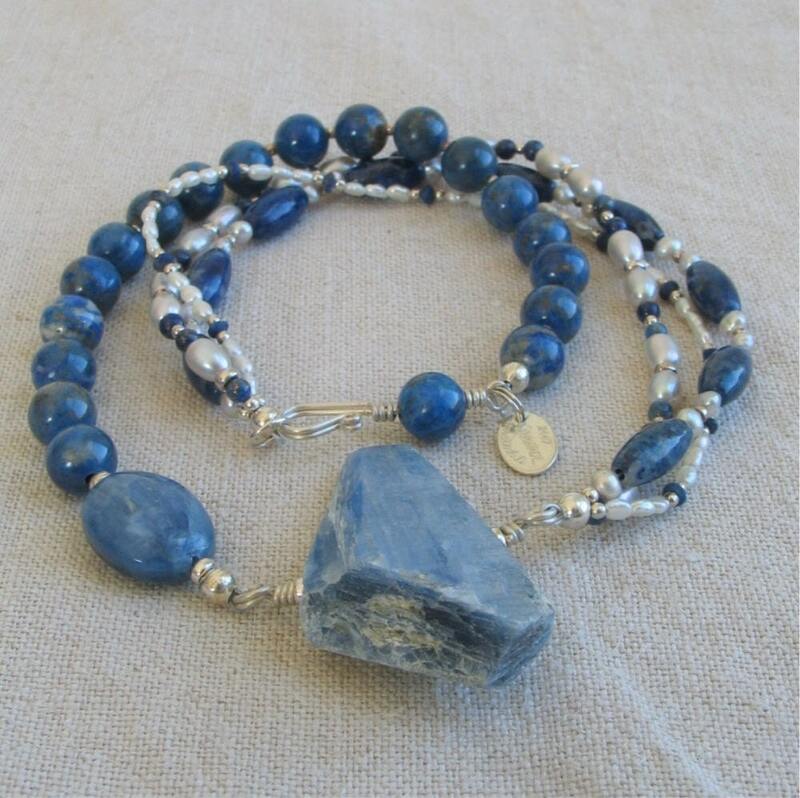 Love these blues, they can really get you noticed! 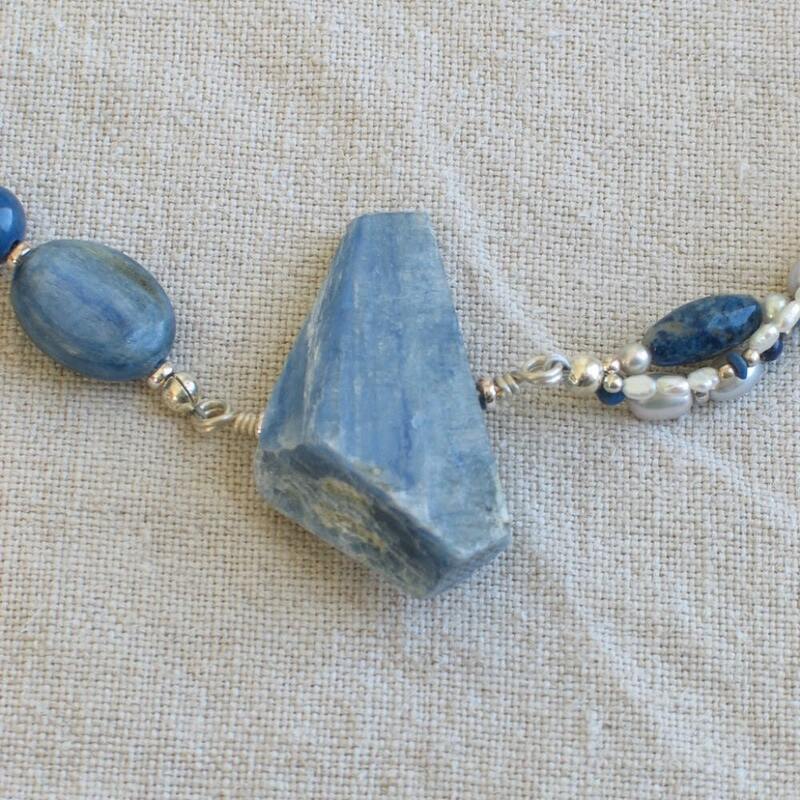 An organic kyanite faceted nugget is pinned with a heavy silver wire fitting to suspend from an assymetrical beaded necklace. 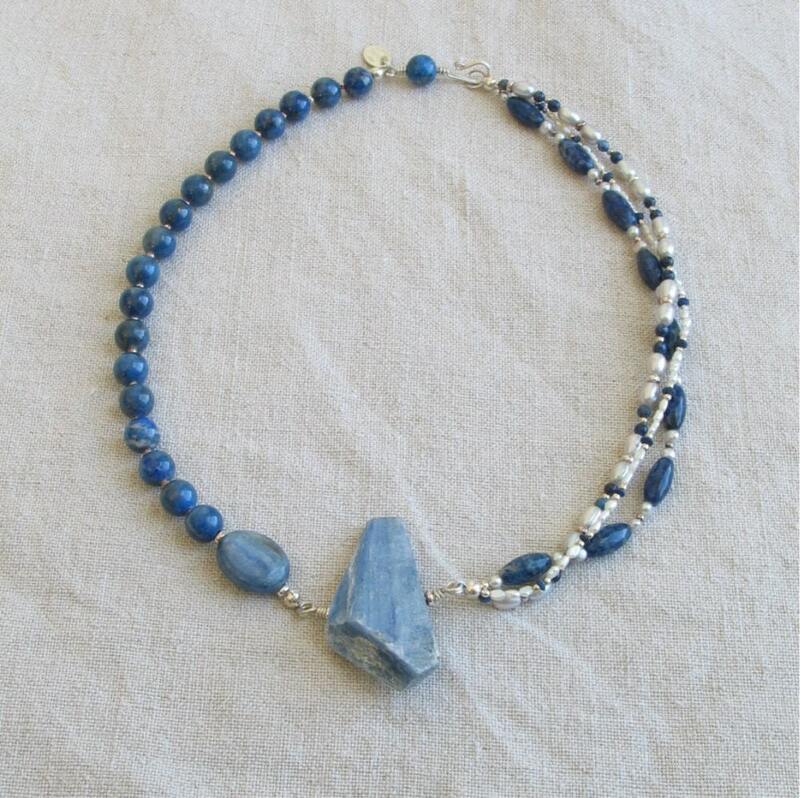 Up one side, a kyanite oval is followed by a strand of lapis lazuli beads, spaced with tiny sterling beads. 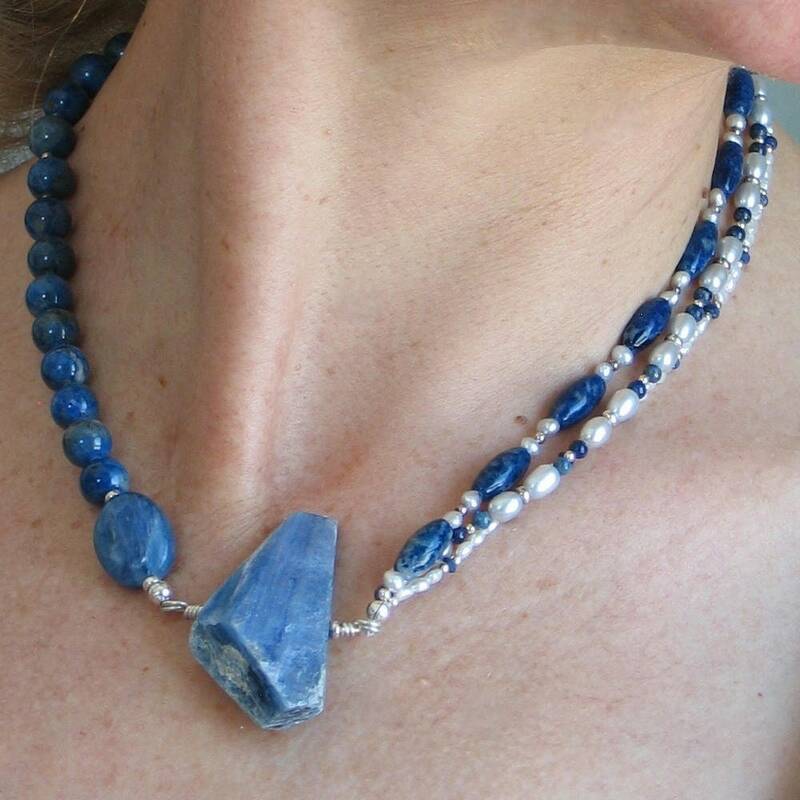 Up the other side, three different strands each use different shapes and sizes of sterling silver, lapis lazuli and freshwater pearls. A hand formed hook incorporates a lapis lazuli bead. 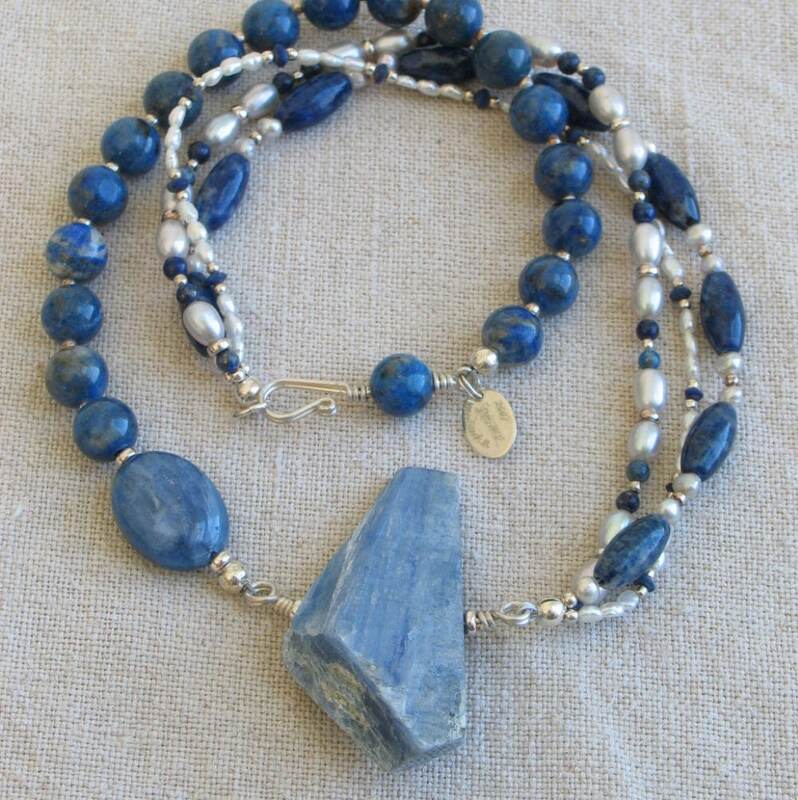 This is an original, one of a kind necklace, fine with jeans or more dressed up! Ready to mail in my signature packaging, ready to gift. 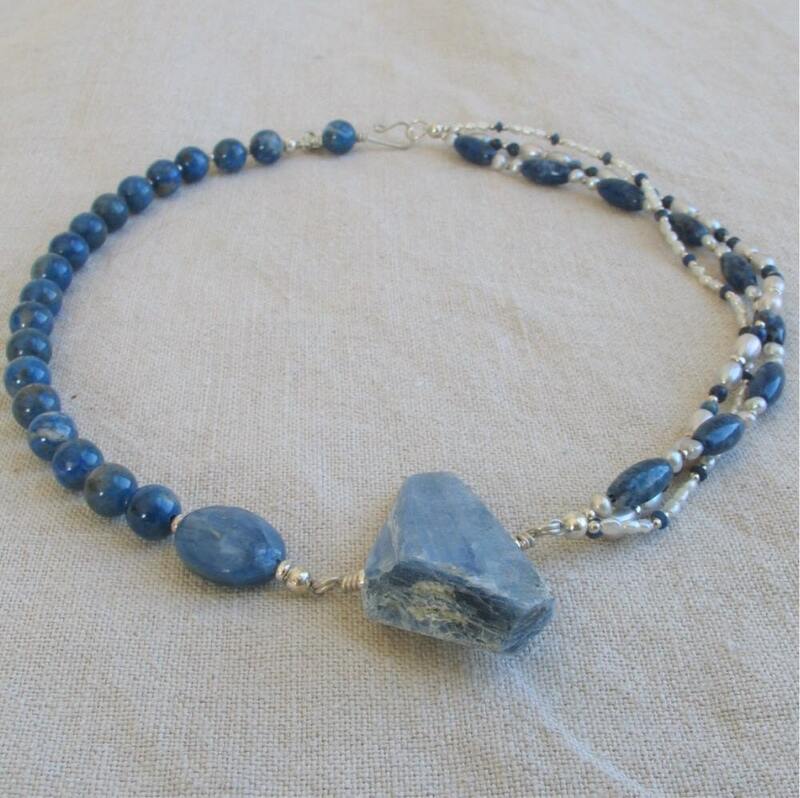 Find other artisan necklaces here https://www.etsy.com/shop/WillOaksStudio?section_id=7593416.